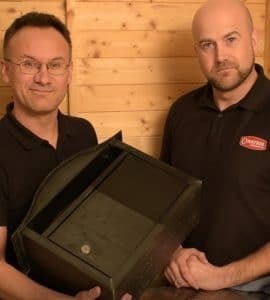 Tony from Promain has teamed up with Gary from Owatrol to create this demonstration video using Polytrol to revive the color and shine of a mail box! Polytrol is a deeply saturating oil which restores the original color and appearance of dull or tarnished plastics, gelcoats, metals, and other surfaces. 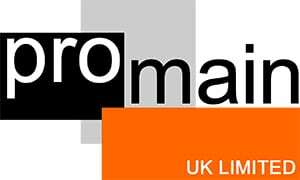 Hi I’m Tony from Promain and with us we have Gary from Owatrol. Gary, my nan asked me to see what we can do with this old letter box and we thought, yeah, maybe we’ll paint it, but I think we’ve got another product we can actually use to restore this mail box, so what have you got? Right, we have a product called Polytrol – Polytrol color restorer, here. And what Polytrol does – it can work on any substrate, so we’ve got a letter box her today, but it could be a composite front door, it could be car bumpers, it could be the side of a boat, anything that has a pigment in it, anything that has a color. So you can use it on plastics as well? Absolutely yep. So as long as it has some form of color, what it does is it drives into the substrate and it restores and rejuvenates the pigmentation. Okay, so that’s how it works. Okay, so to show the people at home I thought what we might do is do a little demonstration for you. So, we’ve got a bit of masking tape here and what we’re about to show is the contrast between the treated section and an untreated section. Okay so let’s put that down the middle there. There we go, we want to get a nice straight line, there we go – lovely! So, I’m going to apply this with a brush but you can do it with a clean rag like a lint free cloth or something similar, but we’ll do it with a brush for today’s purposes. It’s quite runny isn’t it? So it’s nice and easy to apply then as it’s not too thin. No and it goes 18 square metres per litre, so it will go a very long way. So this bit I’ve got on here I’m going to spread out. You can see already that it’s bringing the colour right back. And you can see that small – I literally just dipped the brush in – is more than enough for this, in fact you might find that it’s too much. What we have to do now is we have to let this dry, for around 10 – 15 minutes and then you have to take off any excess because otherwise you can get streaks and it dries off in there. So, once that’s applied we’re now ready to let that dry. Right we’ll leave it for 10 – 15 mins. Okay, so we’ve left it around about 15 minutes now, so Gary what next? Okay what you need to do is get yourself a lint free cloth and make sure that it is a lint free cloth because otherwise you could leave some particles on the substrate and it will dry on there and look a bit unsightly. So what we’re going to do is just wipe away the excess, simple as this. That’s it, you can see the excess has gone. Okay it does look good doesn’t it? Yep! Let’s peel this tape off and see the difference between the two. Wow, that’s miles apart! And that’s going to last you a good 12 – 18 months before you maybe need to think about re-applying and that’s it, it’s as simple as that! So, there you go – Polytrol. Thank you so much to Tony for teaming up with us and making this video possible!